‘The Tunnel’ isn’t messing around. A maelstrom of snarling synths, acid bleeps and vocal samples distorted to the verge of destruction, all wrapped around a sprawling, buzzy bassline and militant lo-fi drums. As claustrophobic as the name suggests, we’re in for a wild ride through a paranoia-infused soundscape that will infect 2am dancefloors with its mutant energy and horror thrills. Handle with care. 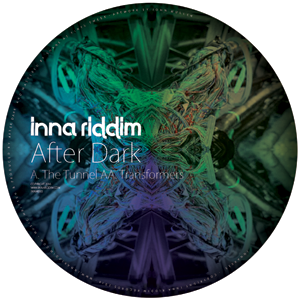 This polarity of light and dark is reversed in ‘Transformers’, with the discordant sounds confined to an undulating yet tightly-wound strand of synth, a streak of some contrapuntal flavour—liquorice or aniseed–in a stick of rock whose dominant tones are colourful and upbeat, with quintessential After Dark elements: funky toms, dynamic hihats, warm sub, and bright yet metallic pads. Deceptive effervescence.